The heart of your home theater setup. In Part 1 of this series, we talked about Hi-Fi receivers. Now let’s shift the focus to AV receivers, which live up to the acronym in their name by supporting multiple audio formats (including surround sound) as well as video formats. Most AV receivers handle everything a Hi-Fi receiver can — plus a whole lot more. If you have a home theater system, an AV receiver is a must for distributing video to your TV, video monitor or projector, and the audio to your multichannel speaker system. Rear panel of the Yamaha RX-V685. When several video sources are plugged in, you can use the receiver, or its remote control, to select which input you see on your screen. Other inputs you’re likely to find on an AV receiver include those for analog video formats such as component video and composite video, along with their accompanying audio ports, all of which are usually on RCA connectors. Although almost all video today is digital, these legacy ports are useful for supporting older devices (such as VHS players) that were manufactured when analog video was the standard. On the audio side, AV receivers typically offer line-level audio inputs for devices like CD players, and many (including the RX-V685) even have phono inputs — which we discussed in Part 1 — for connecting a turntable such as the Yamaha TT-S303. You’ll also usually find coaxial inputs of the digital variety, which offer another option for audio input from external devices. Not all the connections are on the back, however. In addition to a headphone jack, the front panel of most AV receivers will provide an input for connecting devices such as smartphones, tablets and laptops as well as a USB input for plugging in a storage device with music files on it, such as a flash drive. The reason these jacks are on the front is that they’re more likely to be used for temporary connections to devices rather than permanent ones, so accessibility is of greater importance. YPAO (Yamaha Parametric Acoustic Optimizer)-equipped Yamaha AV receivers such as the RX-485 also provide a front panel jack for their included microphone. This feature allows you to automatically tune your system based on the acoustics of your room. The front panel of the Yamaha RX-V485 includes an input for the YPAO mic. It’s important for an AV receiver to be able to connect to the internet via your home network — a necessity for streaming online content. A network connection also lets you access music libraries and other content you have on your mobile devices or home computers. Yamaha AV receivers like the RX-V485, RX-V685 and many others give you both wired and wireless network options: You can either connect directly from your router via an Ethernet cable plugged into the Network jack on the back of the receiver, or you can connect via Wi-Fi. 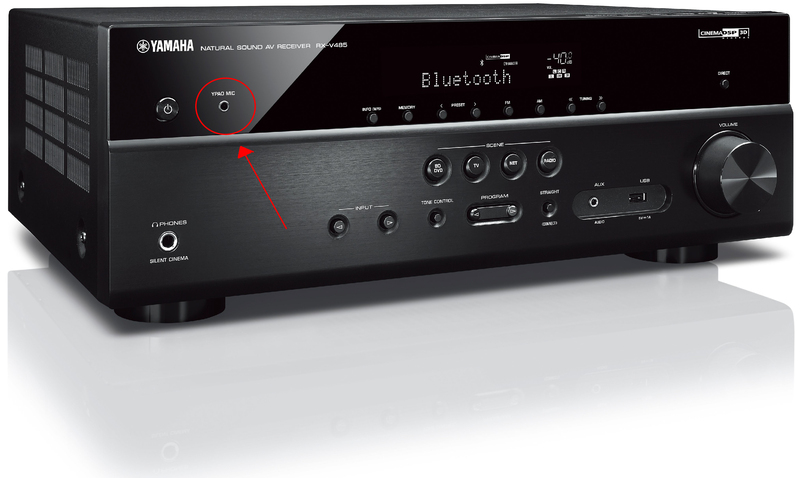 Another wireless format that some contemporary AV receivers support (including many Yamaha models) is Bluetooth®. This kind of connection allows you to stream music wirelessly from smartphones, tablets, laptops and other devices into your receiver and then route it to your speakers. The RX-V485 and RX-V685 offer not only this kind of input but Bluetooth output as well, for sending music to your headphones and earbuds. There’s actually another type of wireless reception that most AV receivers support, though it may appear a little less obvious: AM and FM radio. Like Hi-Fi models, AV receivers will also typically include external antennas to improve radio reception. Now let’s look at what makes these receivers really special: their ability to send incoming video to your TV or projector in up to 4K resolution, as well as decode and amplify incoming audio and route it to the correct speakers in your surround sound setup. 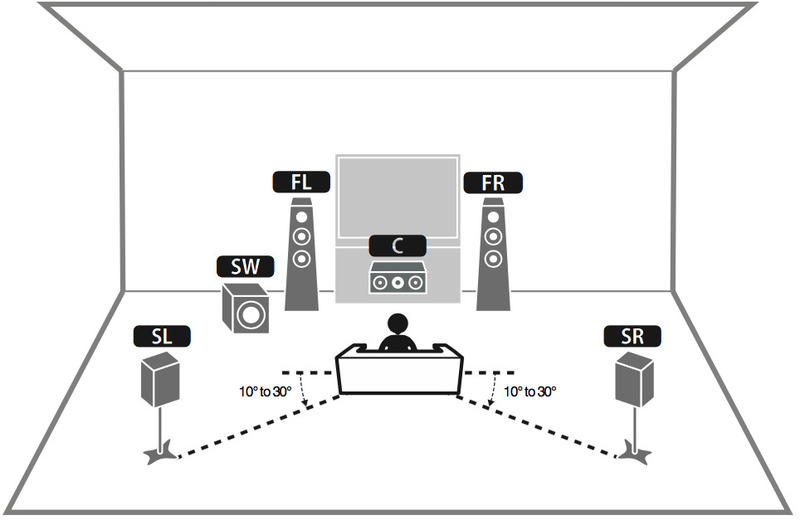 Nowadays, there are many different surround formats. Not all AV receivers can handle all of them. For example, the RX-V485 supports up to 5.1 surround sound (front left, right and center speakers, rear left and right and a subwoofer — the “.1” in the equation), while the RX-V685 gives you up to 7.2 surround, which adds two additional rear speakers and another subwoofer to the 5.1 configuration. It also supports two kinds of “immersive” surround sound: DTS:X™ and Dolby Atmos® (which adds elevated speakers so that some sounds come from above you). Many Yamaha AV receivers are also equipped with a feature called Cinema DSP, which is a digital processing system that simulates a selection of 3D sound spaces, optimized for a variety of categories in both video and music. For the former, you can choose from simulations for Adventure, Drama and Sci-Fi content, among many others. 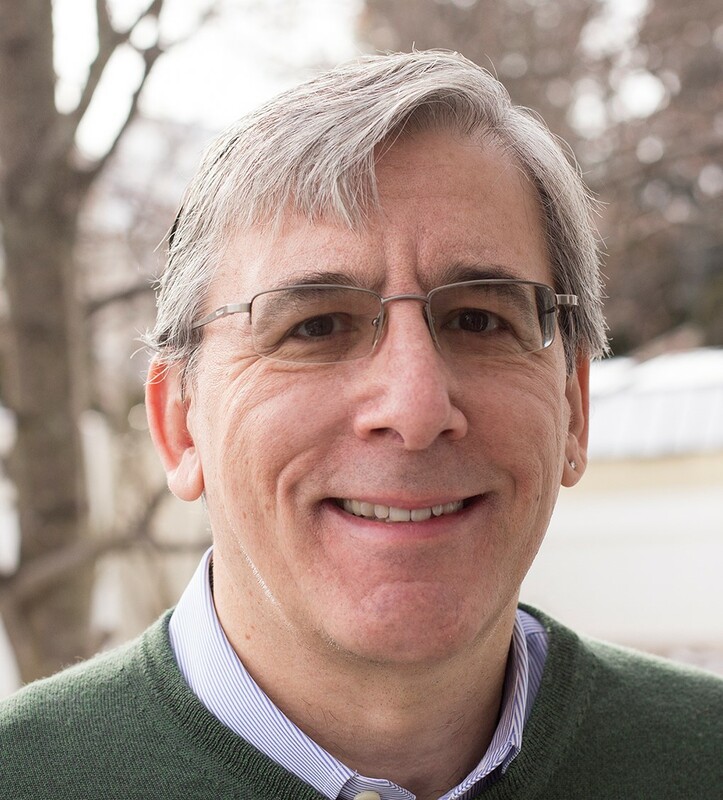 For music, the options include a Vienna music hall, the Roxy Theater and the Bottom Line (a former New York music club). Even if you only have stereo speakers, you can simulate surround with the Virtual Cinema DSP feature offered by many Yamaha receivers. As we discussed in Part 1, Hi-Fi receivers are designed to provide amplification for the left and right speakers of a stereo system. The amplification sections of AV receivers have to be much more complex and powerful in order to drive the six or more speakers in a surround system. 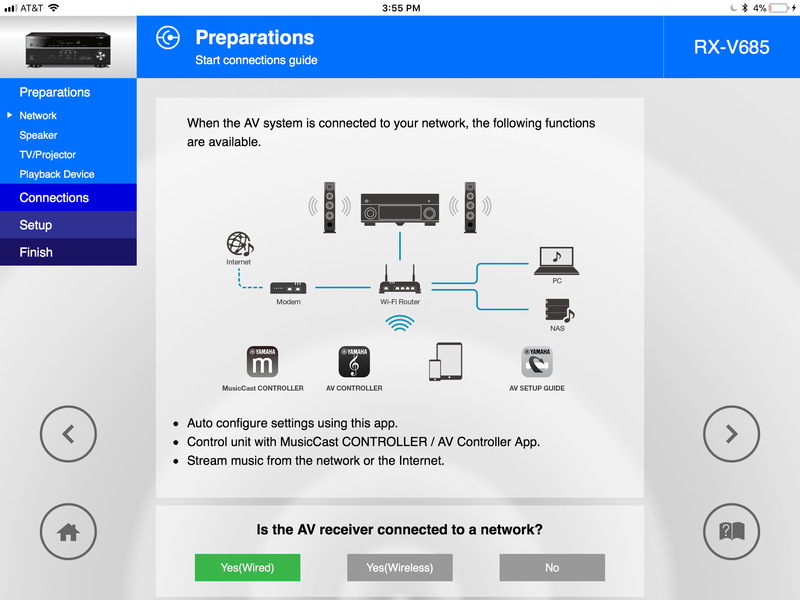 The Yamaha AV Setup Guide mobile app helps you easily configure your system. Many Yamaha AV receivers, including the RX-V685, RX-V485, AVENTAGE 1080 and AVENTAGE 3080, come with wireless remote controls that allow you to operate all their features from the comfort of your easy chair. They also all support the Yamaha MusicCast system, which lets you use wireless powered speakers for cable-free stereo or surround systems — even multi-room ones! If you’re looking to create a versatile system that can play video and audio in all the popular formats, a quality AV receiver is essential. By allowing the interconnection and integration of virtually any type of consumer video or audio gear, it enables you to create a powerful home theater system that will keep you entertained for many years to come.